Enter Pet Society with a secondary account if possible. 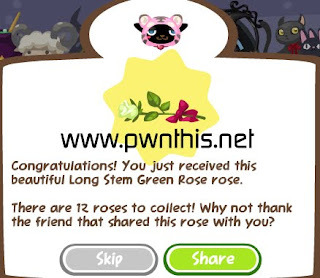 Right click this "je XXXXX" and select "Replace with code that does nothing"
Use another account/your main account to claim those roses. 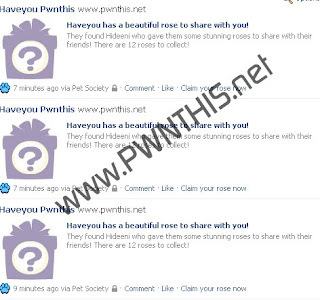 There are 12 of such roses so keep changing room and clicking on Hideeni to get all 12.